Because debt is frequently secured against assets (like a mortgage on property), and because lenders get paid interest before shareholders get paid dividends, debt is cheaper than equity. Paying interest on your debts is mandatory, whilst dividends are optional. Debt interest is also tax-deductible, whereas dividends are paid from after-tax income. 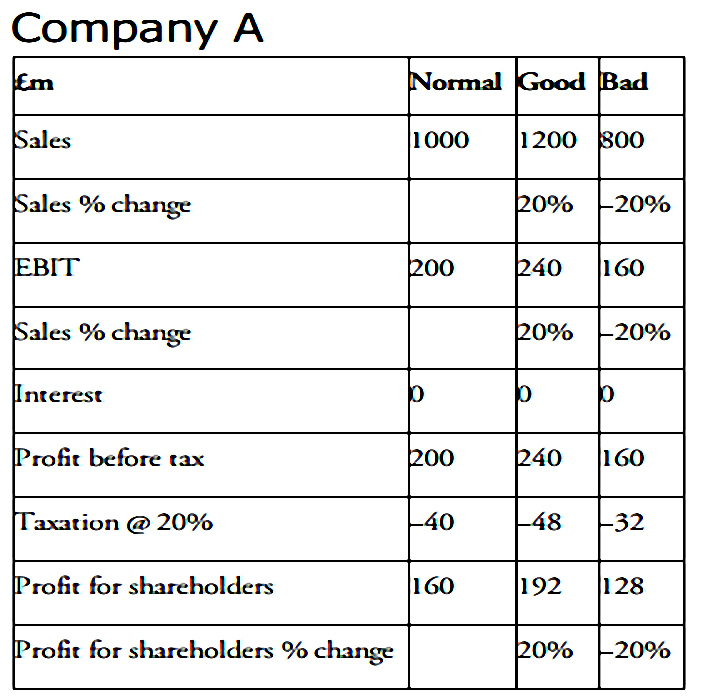 Phil illustrates by comparing two companies, each with £1 bn of capital and £200M in profits (ROCE = 20%). Company A has no debt, but Company B has £800M of debt at 10% interest (very high for today), leading to an £80M interest payment each year. Phil ignores operational gearing (the tendency for profits to increase faster than sales since some costs are fixed) in this example. Phil is not a fan of operational gearing because of the risks when things go wrong. 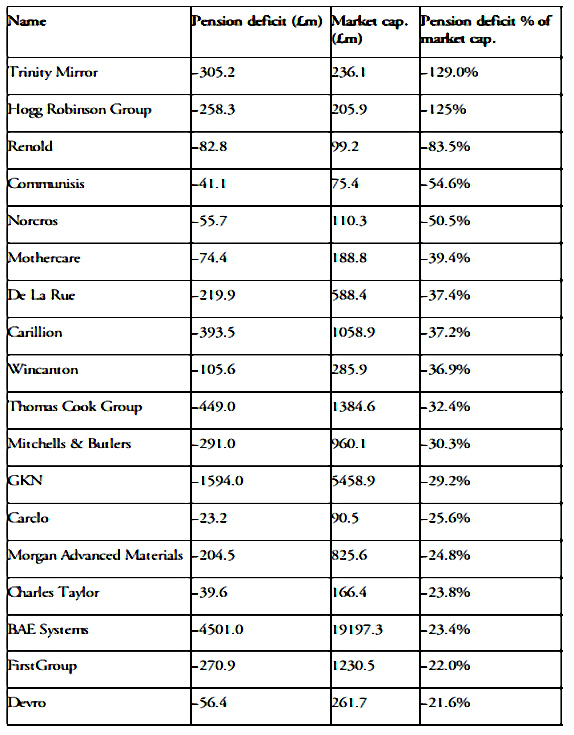 After tax at 20%, Company A returns £160M to shareholders. If sales go up by 20%, so do profits. If sales fall by 20% , so do profits. the regular profit is £96M rather than £160M. a 20% increase in sales boosts this by 33% (to £128M, compared with 192 for Company A). a 20% decrease in sales cuts profits by 33% (to £64M, compared with £128M for Company A). 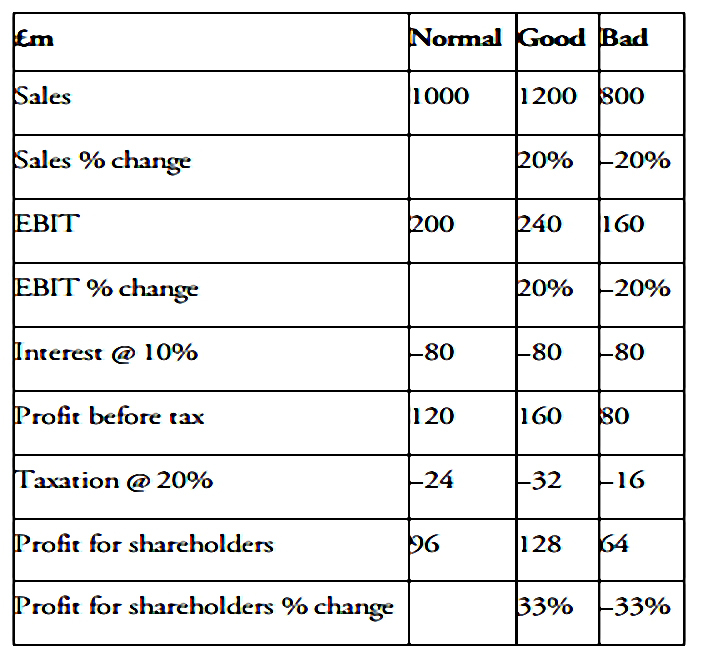 So a 20% fall in sales means that shareholders in B get only half what shareholders in A receive. This shows how debt is particularly dangerous for cyclical companies, whose sales move in line with economic and / or commodity cycles. Rolls-Royce would take more than 200 years to repay its debts from its free cash flows. Domino’s ratio for 2015 was £12.4M / £185.4M = 6.7%. From the table above, Phil likes only Domino’s and InterContinental Hotels. The AA has too much debt (is too risky). Greene King will be forced to spend money on refurbishing pubs, which keeps FCF low. Severn Trent will have its ROCE capped by regulators. 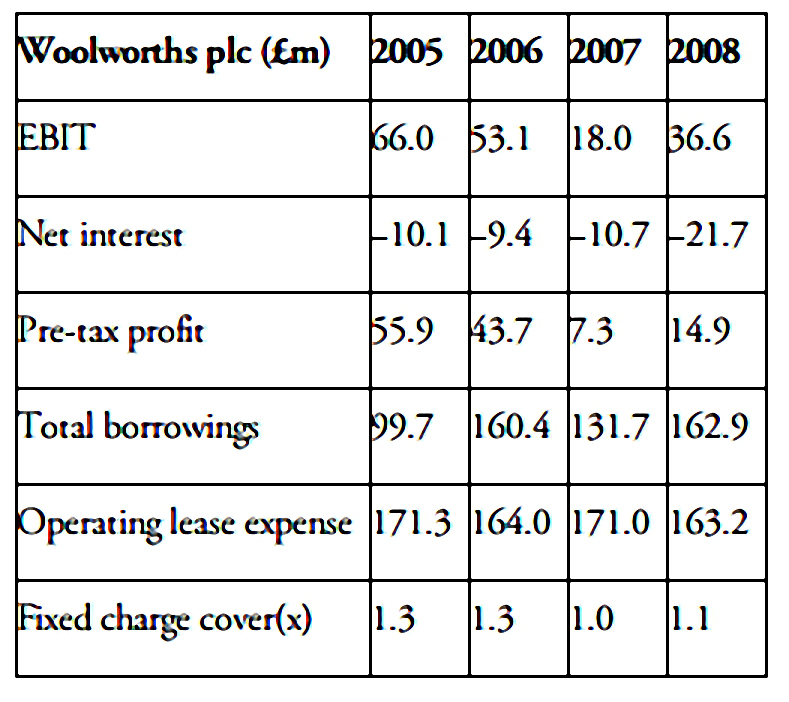 In the next section, Phil looks at the breakdown of debt in the Imperial Brands accounts. which currency is the debt it? Foreign currencies should be matched to assets and / or profits. Phil likes to forecast whether debt that is about to mature will be replaced with cheaper or more expensive debt. He also likes to see an even schedule of maturities, without large amounts of debt needing to be replaced at once. 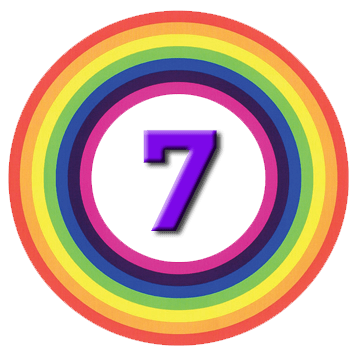 Phil uses funeral parlour Dignity as an example of a company with stable and predictable profits and cash flows that can support large amounts of debt. 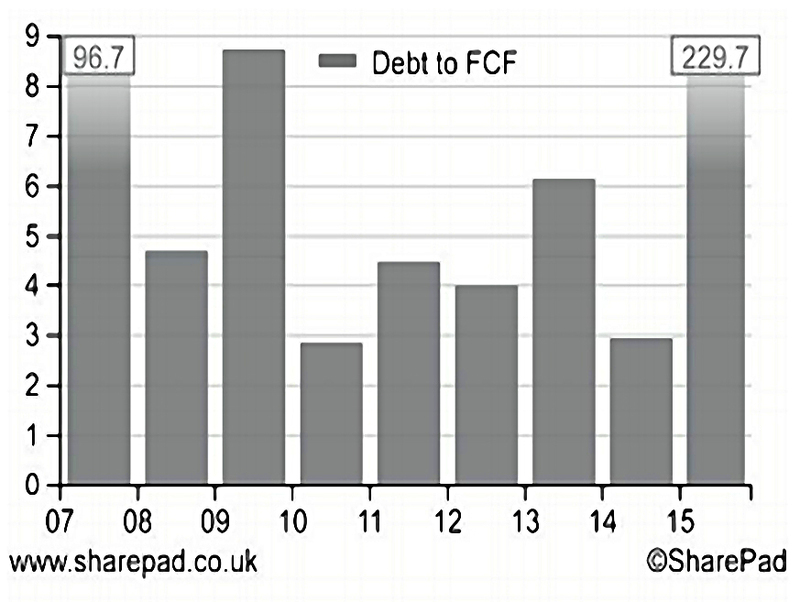 Though it has a lot of debt (high debt to assets, low interest cover) it has also grown sales, profits and FCF. It also has good EBIT margins and ROCE and CROCI. 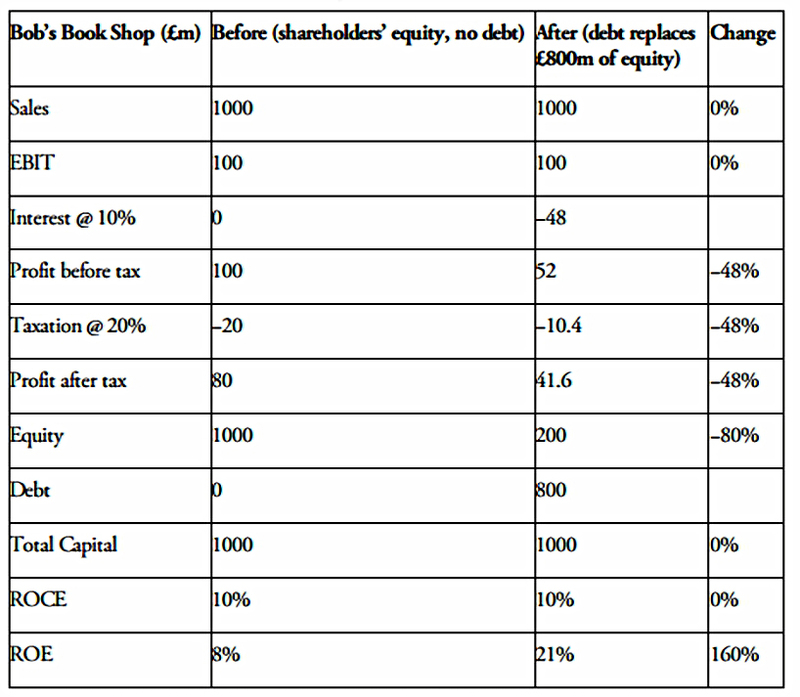 To illustrate how debt can fool you, Phil introduces Bob’s Book Shop. It makes £100M in EBIT each year and has no debt. ROCE is only 10% and ROE (post-tax) is 8%. 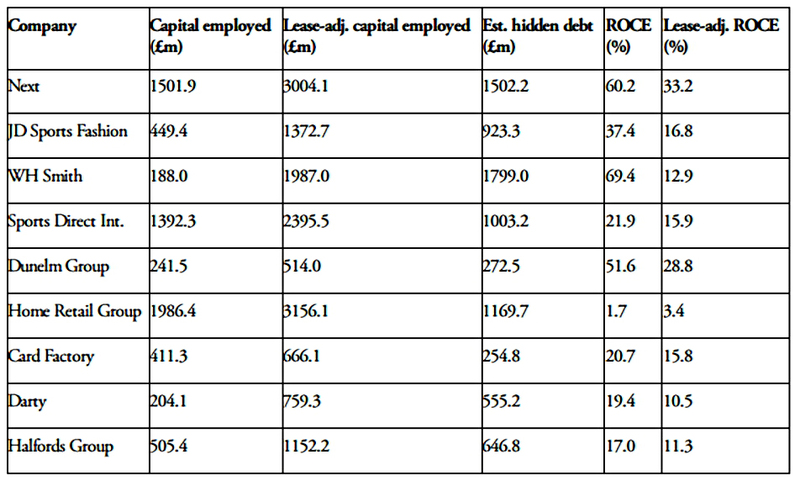 Then a banker persuades Bob to replace £800M of equity with debt at 6% pa.
ROCE does not change, but ROE is up to 21%. This is despite profits falling from £100M to £48M, and profit after tax falling from £80M to 41.6M. 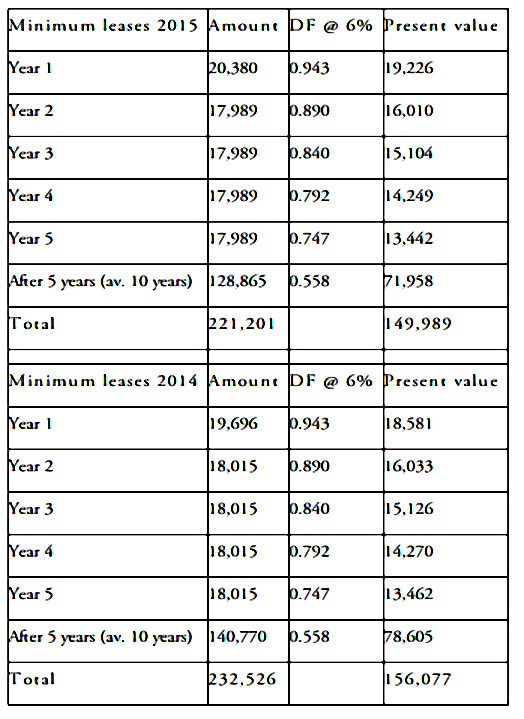 interest cover is only 2.1, and debt now constitutes 80% of assets (total capital). Phil points out that not doing this overstates the ROCE (a number he likes) by not including the future rents in the capital of the firm. You can find the lease commitments in the notes to the accounts, and Phil likes to add them back. 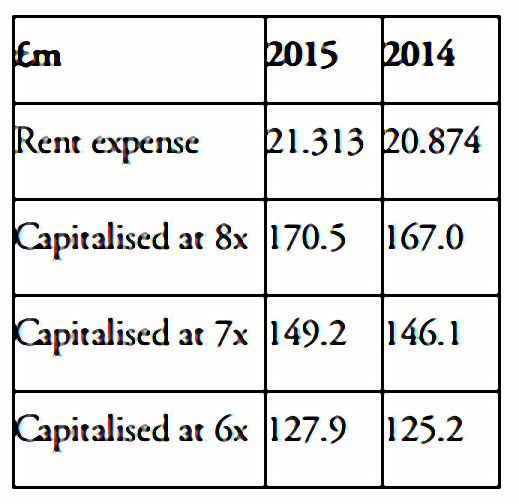 Domino’s has £221M of future rent commitments, and the number has been growing recently. In the next section, Phil revisits lease-adjusted ROCE, which we covered in the first article on his book. Next still looks good, but WH Smith has a big fall in ROCE. We’ve written several times before about company pension deficits (start here) so I will attempt to keep this section as brief as possible. Phil uses BT as an example. 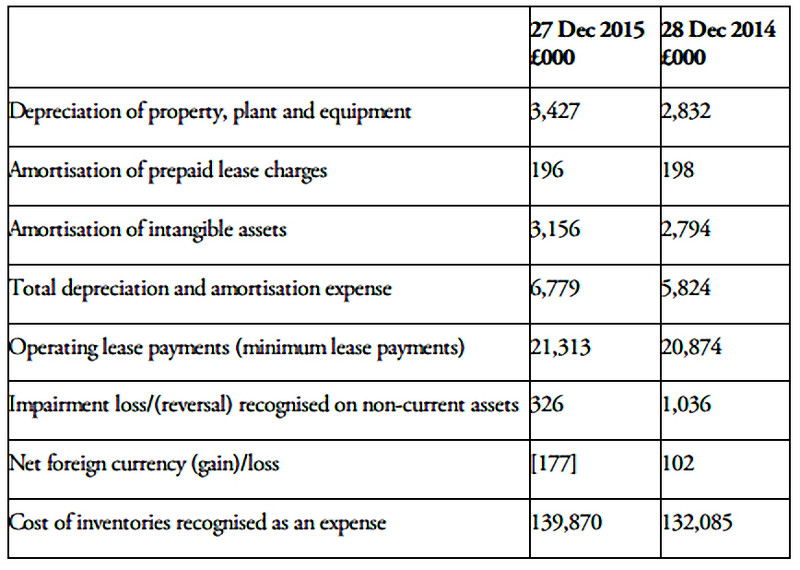 In March 2015, BT’s pension deficit was £7.6 bn, a significant proportion of the total balance sheet value of £19.5 bn. 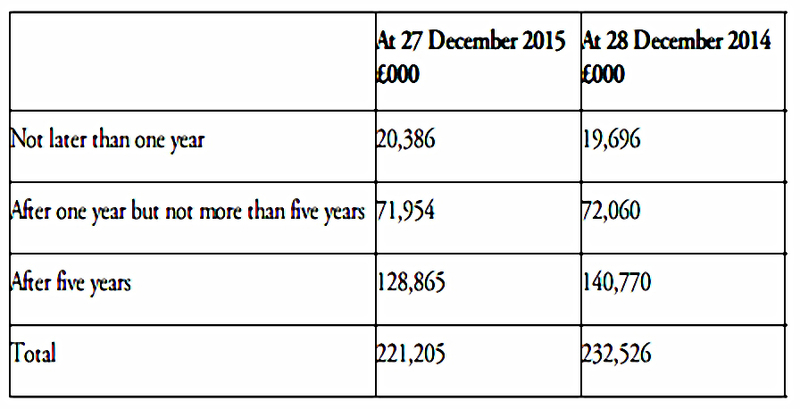 There is a tax break of £1.5 bn (20%) on future payments to make up that shortfall, so the net deficit is £6.1 bn. The rate of increases in workers’ salaries between now and their retirement date. When the workers will retire. What proportion of their final salary they will be paid at that point. How long they will live (and receive the pension) after they retire. 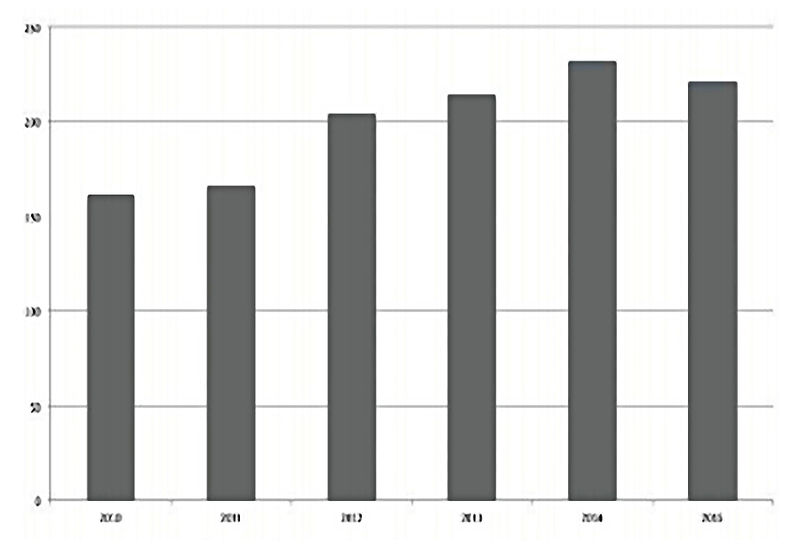 The rate of inflation (pensions are usually linked to RPI). A discount rate based on the yield of “good quality” bonds. So falling interest rates (as per the last 30 years) are bad news for pension deficits. There can be effects from pension funds on the income statement and the cash flows, and Phil explains these in some detail, again using BT as the example. He also discusses recovery plans, which are future commitments from the company to close the gap between pension assets and liabilities. This has been the case with BT. 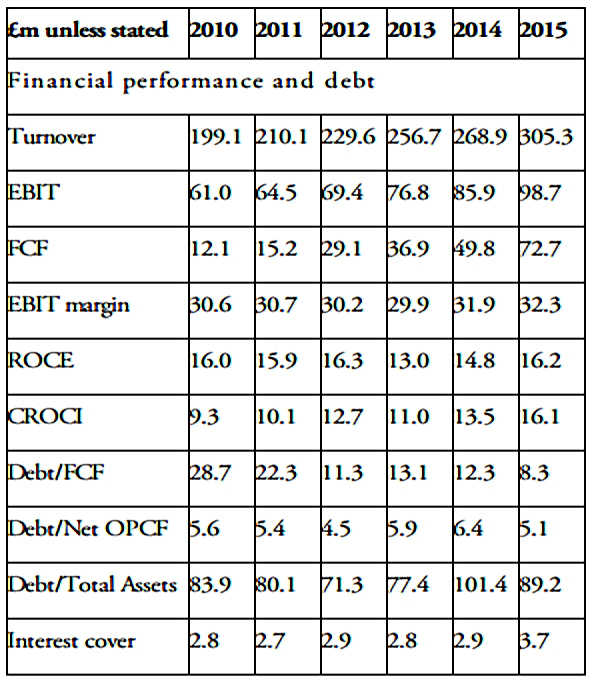 Debt to net operating cash flow of less than 3 times. 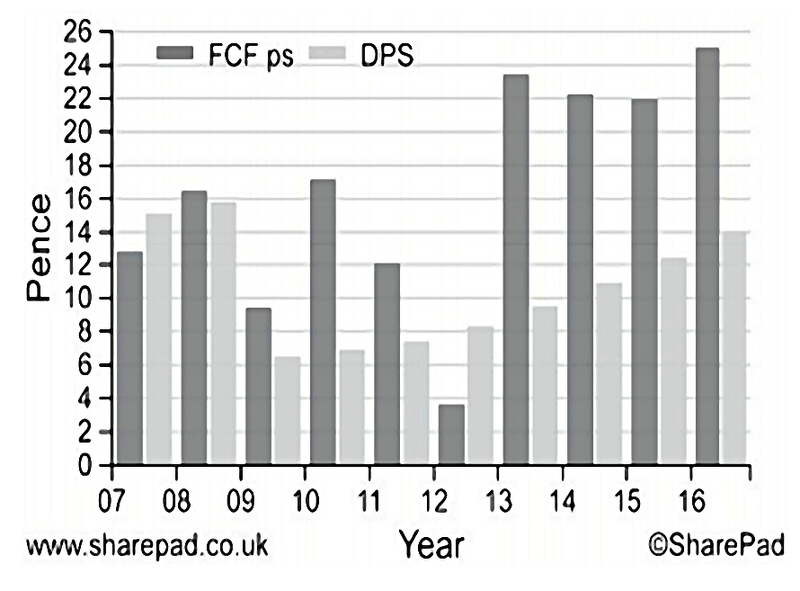 Debt to free cash flow of less than 10 times. 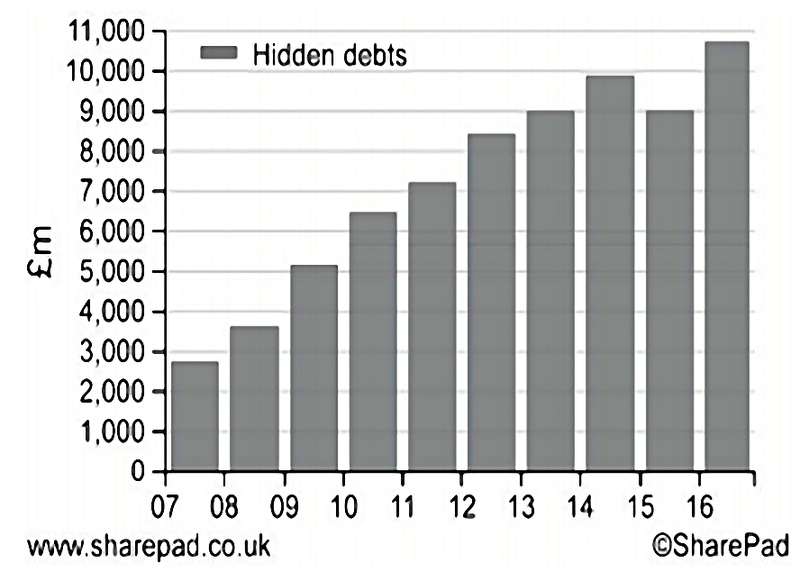 Debt to total assets of less than 50%. Interest cover more than 5 times. 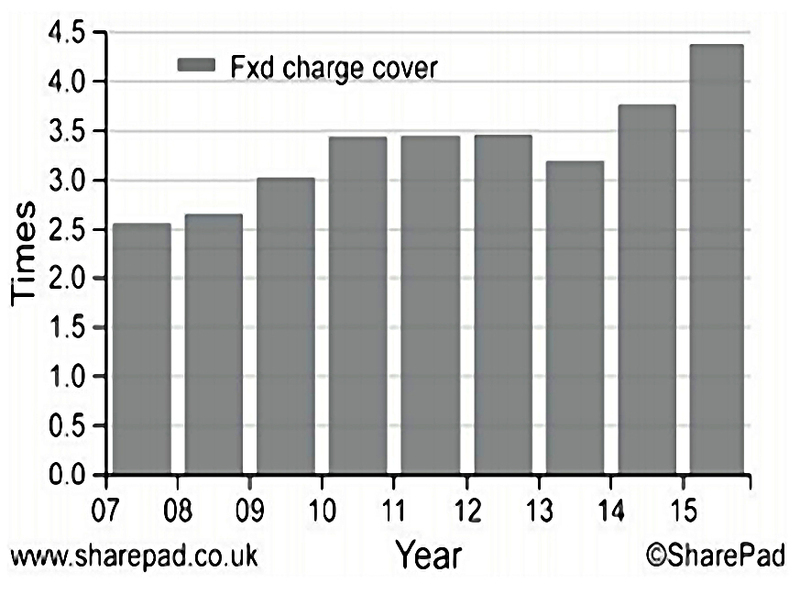 Fixed charge cover more than 2 times. 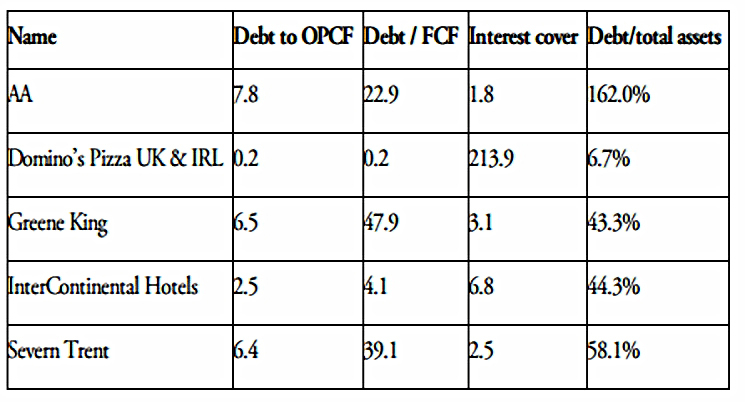 Interest rates on debts fixed rather than floating. Avoid large amounts of debt repayable in one year or less. We’re about three quarters of the way through the book now. I’ll be back in a few weeks with the final section, which is on valuation.